← New Kyary Pamyu Pamyu “Yume No Hajima Ring Ring” with English lyrics translation! This past weekend my local JET Association held a new event–Art Share Night. The idea was to beat the winter blues by coming together to share some creativity. There were live performances and physical art as well. It was great! 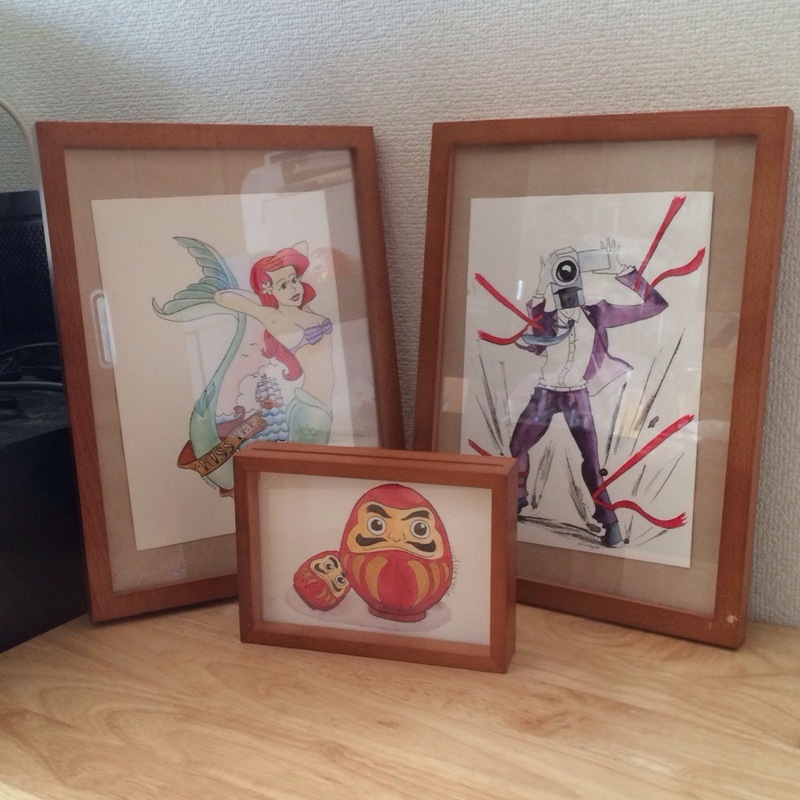 I framed and brought a few pieces, specifically Kiss The Girl, No More and my Daruma piece. 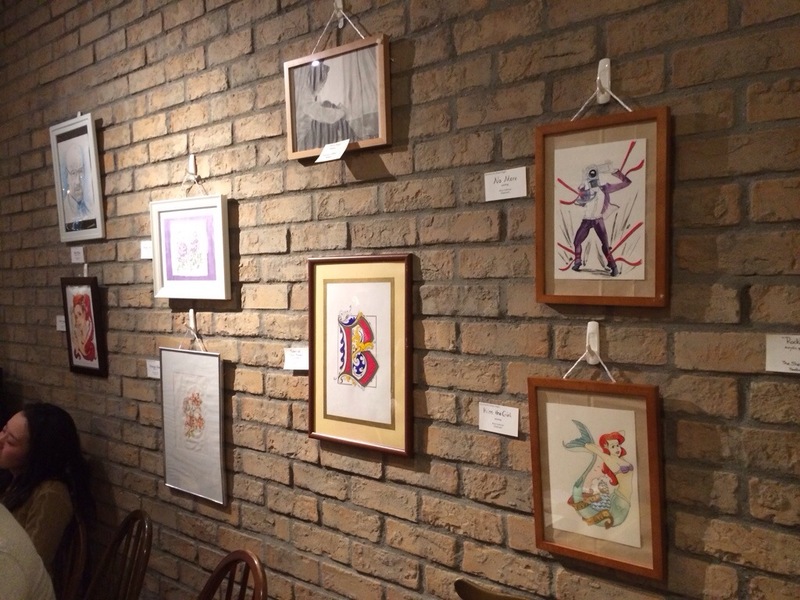 It was my first time showing art in a physical place, and it was an excellent experience. Framing and hanging and sharing are all part of this big milestone, and it was nice to do it in such a welcoming atmosphere. It was also great seeing everyone’s art, from drawing to painting to comics to fibercraft and more. 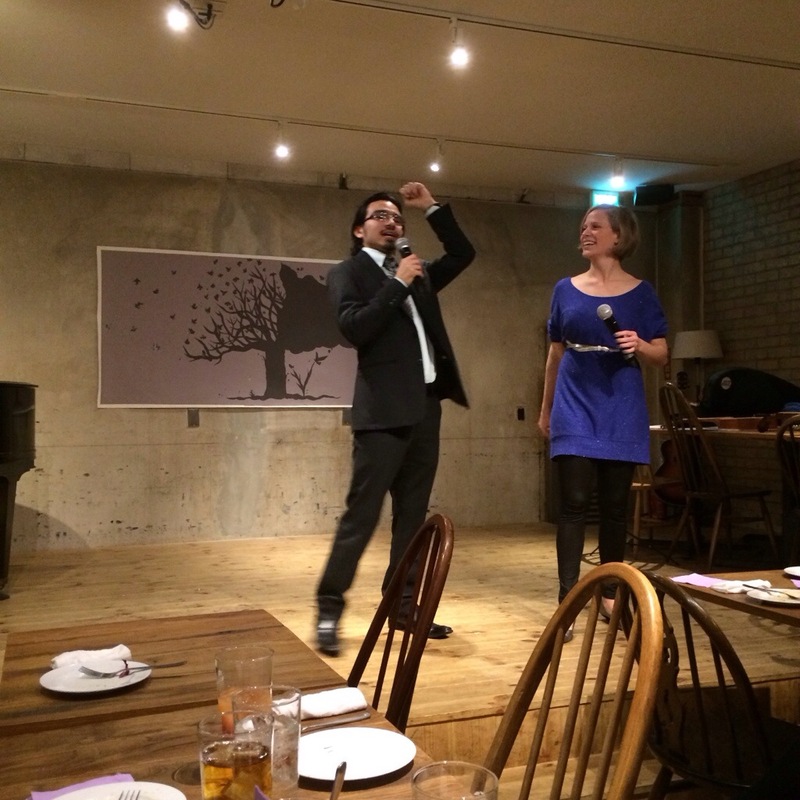 The performances were a lot of fun as well, and the audience was incredibly warm and receptive. The highlight for me was during a cover of Adele’s Rolling In the Deep on piano, flute and violin, when the entire audience joined in and sang along, pounding on the tables and floor to the beat. Too much fun! It was the first time we’ve had one of these in the area, so nobody really knew how it would go, but I think the results were fantastic. 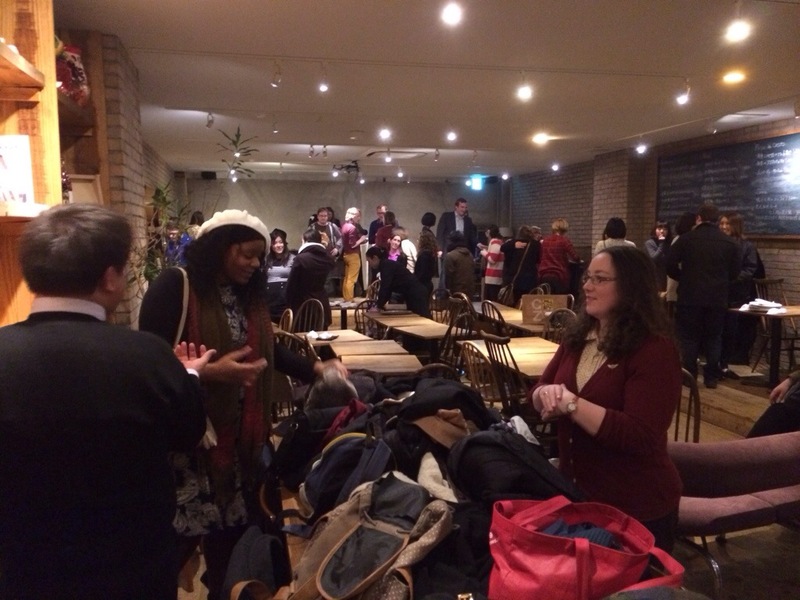 About 50 people showed up, which was pretty exciting. I hope we have another one soon! 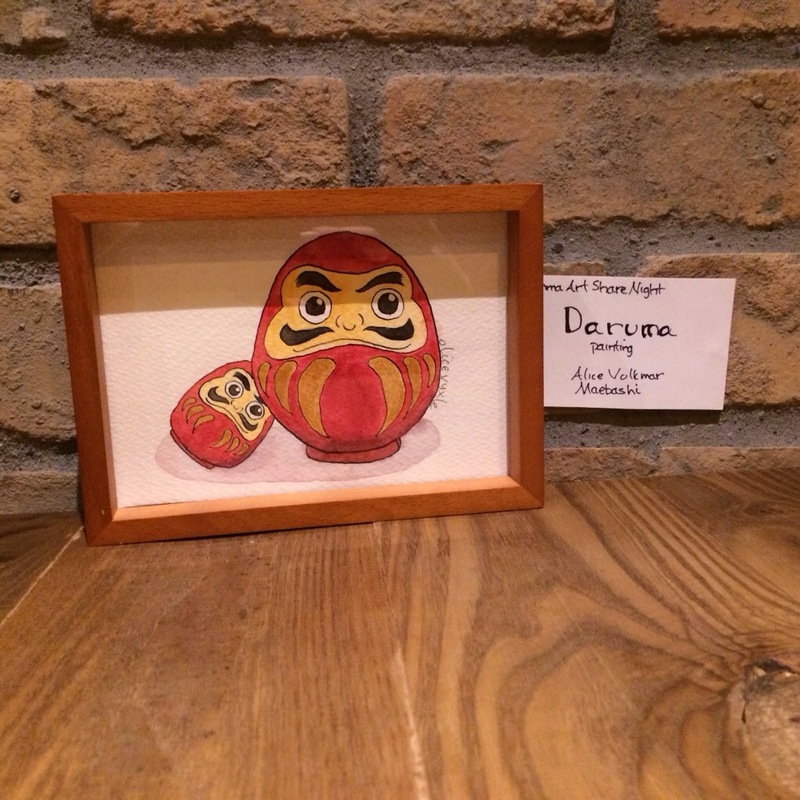 This entry was posted in Art and tagged Art, daruma, eiga dorobo, Gunma, illustration, JET, Jet Program, little mermaid, my art, painting, performance. Bookmark the permalink. 1 Response to Gunma Art Share Night!